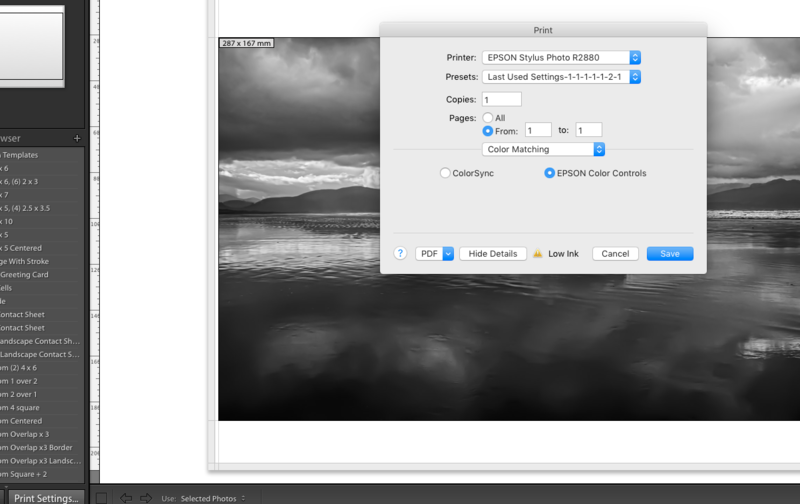 The Settings for Epson Advanced Black and White are shown below from a Mac. 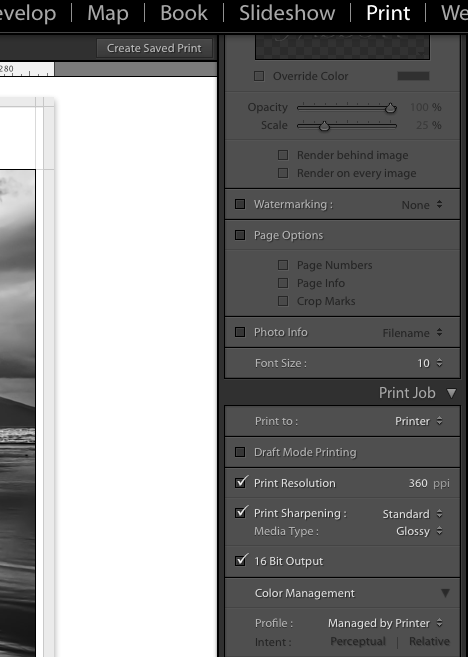 This setting has the advantage that when printing only uses the black and grey inks. 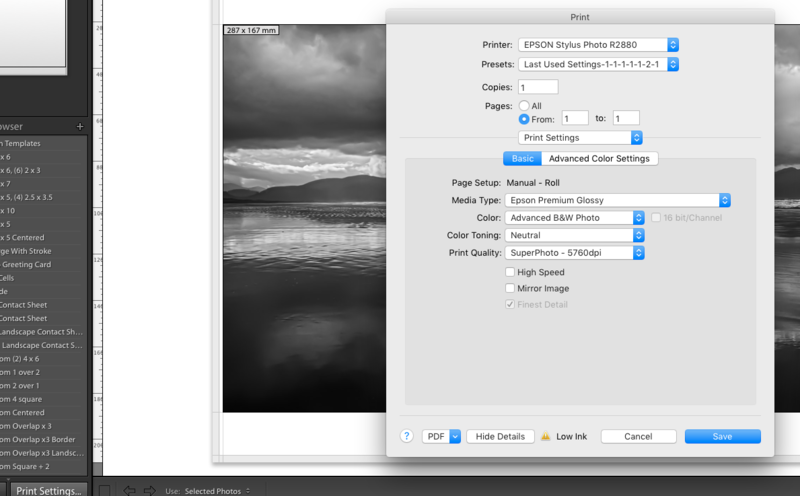 The setting “Managed by Printer” will be found in the Layout and Style Column on the right hand side of the Print management page.